The Problems associated with studying the subject of Ancient Egyptian History! 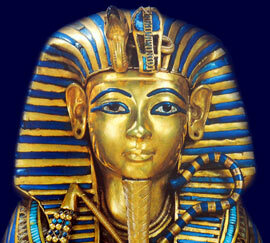 Egyptology is the study of Ancient Egypt and Egyptian antiquities. Egyptology covers the history of Ancient Egypt from the Pre-dynastic Period and moving through all the periods and dynasties until 30 BC. The ability to study the subject of Egyptology in any depth became possible following the discovery of the Rosetta Stone and the subsequent deciphering of the Ancient Egyptian hieroglyphics. The Problems associated with studying Egyptology! Egyptology is a relatively new subject but it covers events which occurred thousands of years ago. Egyptology and Ancient Egyptian archaeology is in a state of constant transition, with much of the terminology and chronology in dispute and subject to change due to new technology, facts and information that becomes available. A prime example of this is that in 1968 and 1978 x-ray examination of the Tutankhamun mummy lead to significant speculation that the young King Tut had been killed by a blow on his head. By 2005 this changed when a further examination using a CT scan on the mummy revealed that the skull injury was likely to have been caused during the embalming process. The problem is that no one knows for sure exactly what happened! Then there's the terminology, religion and the culture which is alien to Western Society. Conflicting and incorrect information add to the problems when studying the subject of Egyptology. But problems aside, it is without doubt the most interesting and fascinating subject to study! The subject of Egyptology, stretches over 3000 years and encompasses hundreds of Pharaohs. Because of this massive time span and timeline Egyptologists have divided the different historical times into Periods, Kingdoms and Dynasties. The Kingdoms were politically organized communities with a monarchical form of government headed by a King, Queen or Pharaoh. The Ancient Egyptian dynasties were families which retained political power across generations. The Periods were distinct evolutionary or developmental phases in Ancient Egypt and the Intermediate Periods covered the time between the end of an old period or Kingdom to the start of a new period or Kingdom, allowing for possible anomalies in dates. Our various Ancient Egyptian Timelines provide a time-driven list of pharaohs, periods, kingdoms and dynasties with the generally accepted dates of each of these times. The best advice we can give is to check our sitemap to see exactly what info is provided. It is presented much like an Encyclopaedia of Egyptology with direct links to all pages. The website was designed to be used as a free internet information resource for students studying Egyptology. The King Tut Sitemap provides clear links to comprehensive information regarding all aspects of Egyptology and specialises in the life and death of the Pharaoh Tutankhamun. Each section of this website addresses all topics and provides interesting facts and information about the Golden Age of Pharaohs and of Egypt. The Sitemap provides full details of all of the information and facts provided about the fascinating subject of the Ancient Egyptians!